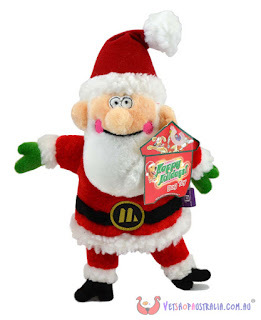 Want to win a Talking Santa Claus Dog Toy (worth $19.95) to give to your pet this Christmas? All you have to do is follow the link and tell us in the comments below the image how you will be making this the best Christmas ever for your pet! It's that simple! Just post your answer before Thursday the 15th of December and we will give the Santa toy to our favourite response! Click here to enter this great Christmas competition.